It is becoming clear to anyone concerned with politics and history that we live in interesting times. Close to a decade after the start of the international financial crisis antiestablishment sentiment has by no means receded. There is a growing distrust in traditional institutions, political parties and politicians and everything to do with finance and commerce is increasingly seen as suspicious activity at best. It is important to note that this is not happening without reason. Politicians in Western societies had to a large extent become complacent, too much like each other and relying on unwritten politically correct guidelines on what a politician should say and do. Ideological debate and the search for novel ideas had given way to an ever growing fear of controversy and an inclination to leave the running of our societies to bureaucrats, thereby disconnecting the electorate from the decision making. The power of the people has been curtailed and they know it. The result can now be seen all over Europe and in the United States with a continuing growth of new anti-establishment parties and politicians. I can hardly be considered a traditional politician although I am the leader of Iceland’s oldest political party (100 years old this year). I became leader of the party in 2009, two weeks after becoming a member. I had strong opinions on what needed to be done and what had to be avoided. I fought for a radical shake up of the financial system and proposals on how the failed banks could finance a write down of household debt and the resurgence of the Icelandic economy, along with various other measures designed to tackle our particular situation. At the same time I emphasised the rule of law in the almost revolutionary atmosphere that characterised Icelandic politics after the crises. Three years ago I got the chance to implement my ideas as Prime Minister of Iceland. They proved to be even more successful than I had anticipated. But a few weeks ago I stepped aside and asked the vice chairman of my party to relieve me in the role of Prime Minister. This was not because of a lack of results. In fact I challenge anyone to point to a Western government that has yielded better results for its country in the last three years. 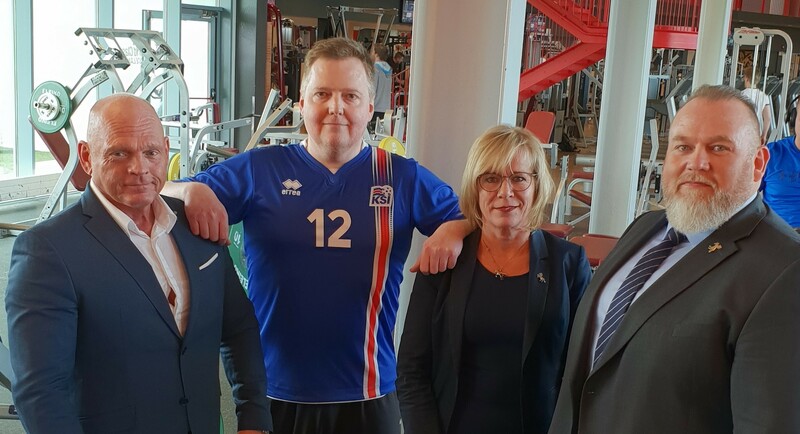 Iceland’s economic situation has been transformed through a mixture of traditional, sensible, economic measures such as following through on a pledge to balance the budget year on year and implementing incentives for economic growth along with radical measures without precedent. These measures included making creditors of the failed banks – primarily hedge funds that bought claims after the fact – finance the lifting of capital controls. The result is the highest GDP growth in Europe and biggest primary surplus, the lowest unemployment rate, a dramatic fall in public and private debt measured by dozens of % of GDP, a stronger currency, lasting price stability and a 24% growth in purchasing power in just three years. These results were achieved in the face of strong opposition from opposing political parties and much of the civic establishment, not to mention the hedge funds who intended to make a killing on Iceland’s financial crisis. As I am sure most people are aware, the hedge funds of Wall Street and the City of London are not without influence, neither political nor financial. In a short period of time they spent the equivalent of over 100 million pounds guarding their interests in Iceland. I experienced everything from repeated threats to attempts to buy ‘an acceptable conclusion’. Carrying on with the plan I often got to hear that making the hedge funds pay for resurrecting the Icelandic economy could not go unpunished. Such a precedent could not be allowed to stand. In addition many could not forgive us for stopping a plan for EU membership with an expected EU ‘bailout’. Nevertheless we finished the job yielding results that Lee Buchheit, a leading authority on international debt resolution (and advisor to the Icelandic government) called „unprecedented in the financial history of the World“. So why did I step aside as Prime Minister? A short look at international media coverage will give you quite varied reasons. The truth of the matter is that my name was found in the so called Panama papers in connection with a company registered in the British Virgin Islands and owned by my wife. This alone was sufficient to create a range of theories and news stories about a Prime Minister´s ‘hidden funds’. Such stories were helped by the willful distribution of fallacies and even a bogus interview and news report intended to create the sense that I had something to hide. I am writing this now because it has been confirmed that all of the accusations were untrue. It may come as a surprise to those that remember some of the reports that were published at the time that in fact there were no hidden funds or assets, no attempt to evade taxes and no question of a conflict of interest. My wife’s company, its country of registration, and all its assets are declared on our tax return and full Icelandic taxes have been paid with no attempt to use off shore status to limit payments. Still, none of these facts mattered when it came to making use of the ‘Panama Papers’ in a political attack that had been in preparation for 7 months. In the current political climate a story about a prime minister hiding funds is too good for some to bother with the facts of the matter and for many ‘a means to justify an end’. Which brings me to my main points: Things aren’t looking to good economically, socially or politically in Western societies these days. As the experience of Iceland shows it is possible to implement real and radical change to politics and dramatically improve the lives of people in our societies. But that alone will not ensure political stability and future progress. What is needed now, more than ever, is reasoned political debate.The internet and social media have changed the way information is distributed and consumed, creating new opportunities and dangers. Over 300 years ago Jonathan Swift wrote: “Falsehood flies and the truth comes limping after it”. Never has that been more true than in the interesting times we live in. The model of Liberal Democracies has been an unparalleled success in human history. It is now under threat. In order to preserve it we must look to the foundations of its success. We must further logical debate based on facts, or at least the search for facts. In that regard traditional political parties have a role to play but also traditional media. The media still plays an enormously important part in our democratic process. In living up to its role it must provide restraint and a commitment to the facts when it is lacking elsewhere. Western democracies need to rediscover their roots, the roots that lay in reasoned debate, a willingness to defend the right of people to express controversial views, but at the same time acknowledging that the aim should always be to get closer to the truth. And when debate helps rational solutions triumph over creed we need to be willing and able to implement them. What we need is radical rationalism. 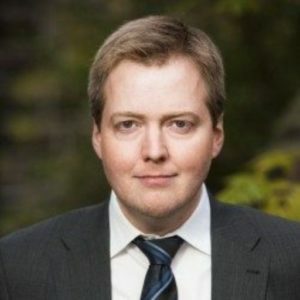 The article was written in May 2016 and describes the situation in Icelandic politics at the time.